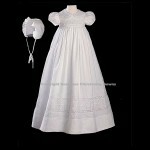 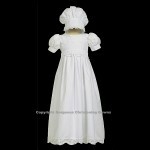 A simple yet elegant Christening gown. 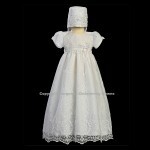 The fabric of this dress is embroidered & the gown is accented with lace & ribbon. 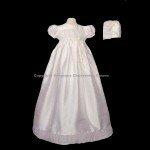 The short puff sleeves are gathered at the cuff & finished with a satin bow. 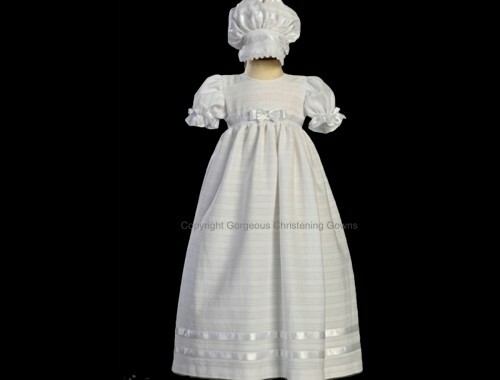 Matching Bonnet also included.